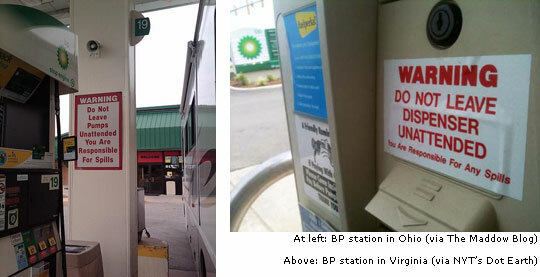 Actual non-Photoshopped pictures from BP stations with signs saying: "Do not leave pumps unattended. You are responsible for spills." You could laugh except for those heartbreaking photos of birds coated with oil, trapped and trying to get up.